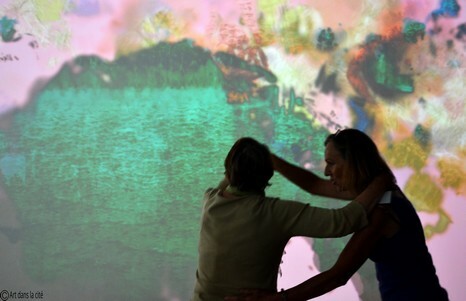 Since 2010, Art dans la Cité considers the use of digital creation to bring art into more intimate spaces like the patient’s room. It calls for artists using this medium, and with boldness, develops innovative creations in spaces not yet invested, rooms of relaxation, care, treatment, recovery, bedrooms. 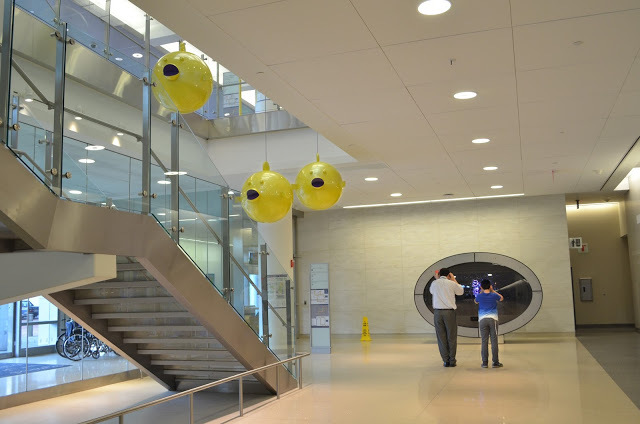 The resources offered by these creations are numerous, although still unexplored in hospitals environments, they improve in a natural but ambitious way, spaces of the hospital. Sensitive to their environment, they changed according to a scenario imagined by the artist. The artwork sensitive to the spectator’s presence, to his movement in space, can create intimacy with him, induce a dialogue, and provoke a behavior. 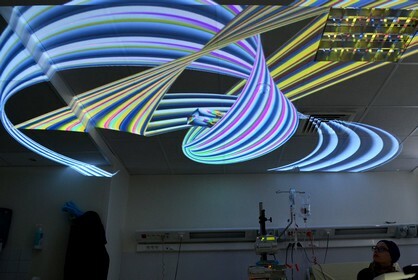 Art dans la Cité is now developing these creations, open to the world and offering a new dimension for art in hospitals. 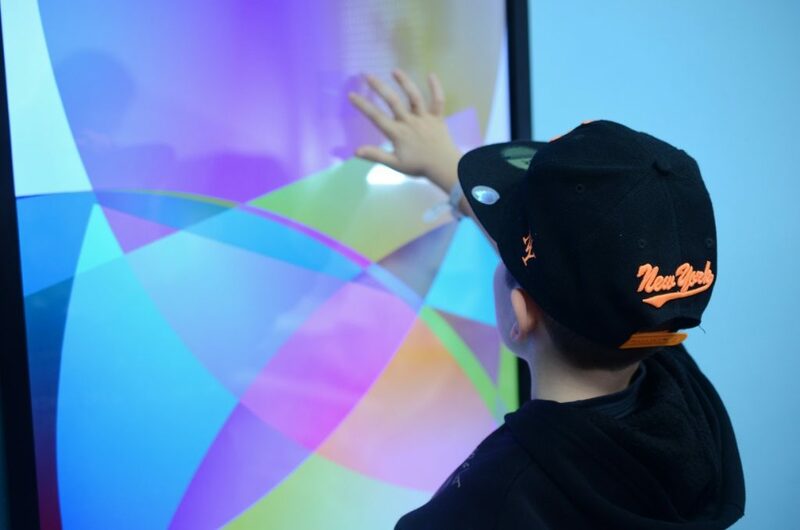 By involving the patient, the interactive artwork can stimulate his body and mind, make him travel, give birth to new emotions. The interest is that patients are active within original immersive universes. Completely innovative, these creations open up an unexplored field of the relationship art / quality of life of the patient that can support the quality of care. When the work allows several spectators to interact with it, it becomes a space of dialogue not only between a spectator and the work but also between the different spectators engaged in a relationship with it. These multiple interactions will thus offer to patients, isolated, bedridden and weakened physically and morally, a space for recreational, fun and joyful socialization.